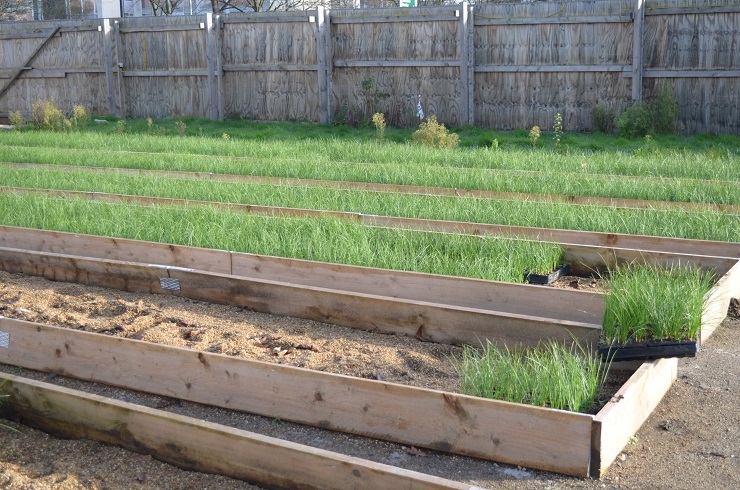 For the last 5 months Croydon has had a temporary saffron farm, Saffron Central, right in the centre of town. Why Croydon? I’ve spent 15 years travelling there for Home Office meetings in dreary grey tower blocks. It’s not a place I would associate with exotic spice. Croydon’s name apparently comes from the Anglo-Saxon for Crocus Valley, from a time saffron was farmed there for/by Romans. 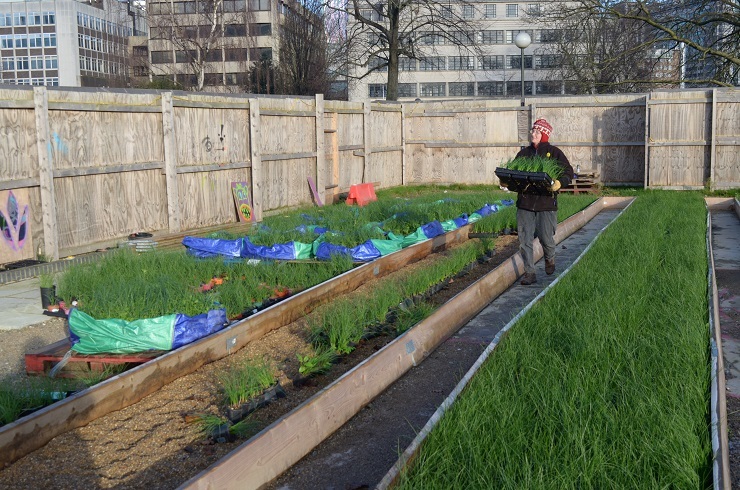 Ally McKinlay came up with the idea to bring saffron back to Croydon, using crowd-funding and part of a huge building site, and then sending it out to multiply in community gardens across the borough. It’s a labour-intensive project, from building the beds and potting up each corm to the huge effort to pick all the saffron (with tweezers) in the short window that it blooms. It depends on volunteers to run. And it’s an inspirational place to visit. I’ve wanted to visit Saffron Central since seeing the first photos appear on Twitter. There are 20,000 corms, all grown in pots on beds of gravel, waving their chivey-leaves in a corner of the derelict Taberner House site. How could I not want to go?! 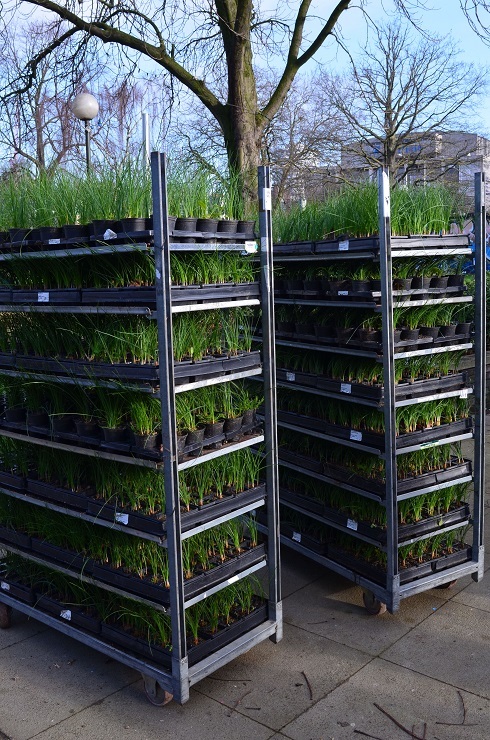 I got to see it on one of its last days, helping to pack up thousands of plant pots for delivery across the borough. It was fabulous. Ab-so-lutely fabulous. Blazing sunshine, a very warm welcome and friendly, interesting people to talk to. I was even interviewed for London Live. But yowzers, my arms ache today! Those trays of saffron are heavy. I don’t know how much saffron was eventually harvested, but it’s a lot. Given that my (by comparison) paltry 150-odd flowers resulted in 1.1g, my official stab-in-the-dark guesstimate is about 135g. All credit to the many volunteers who’ve given their time, and particularly to Ally McKinlay for having the idea and making it happen. It’s great to see Saffron Central getting some well-deserved recognition by the RHS too.